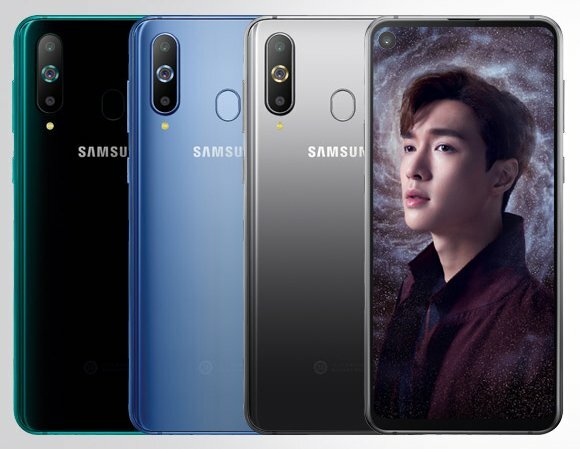 Samsung has just announced the all-new Samsung Galaxy A9 Pro (2019) smartphone that is the next generation variant of the last year's Samsung Galaxy A9 Pro smartphone. The device is currently official for the Korean market with the model number SM-G887N and its the global variant of the Samsung Galaxy A8s smartphone launched last year in China. It comes with a glass back and comes with a fingerprint scanner available on the rear side of the device. It is priced at 599,500 Korean won (around $533) and will be available on sale in Korea starting from 28th February with Blue, Gray and Green colour options. It supports triple rear cameras and is powered by the Snapdragon 710 processor with the support of 6GB of RAM. Let's check out the full specifications of the device next. 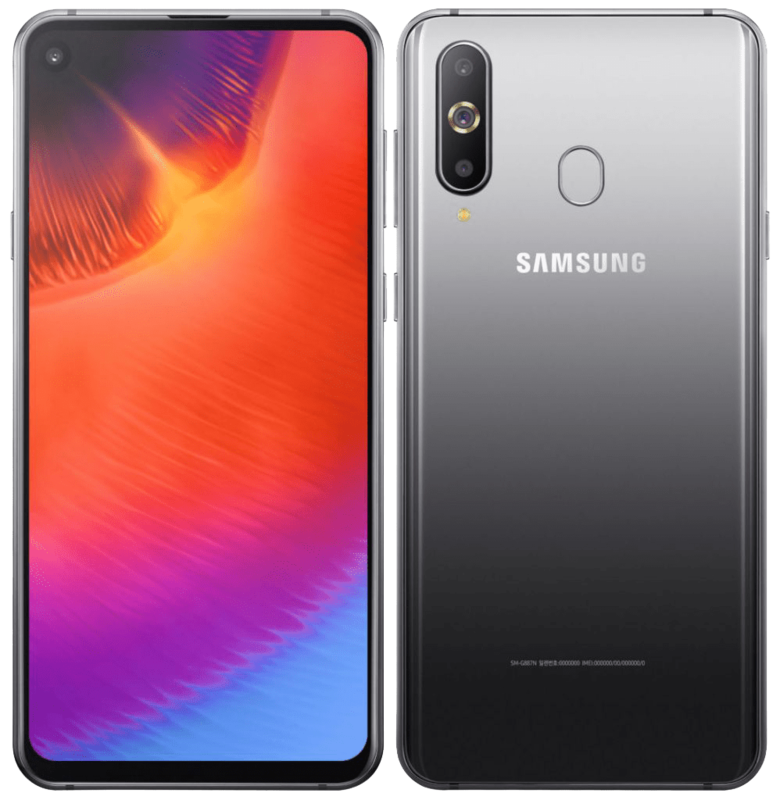 The Samsung Galaxy A9 Pro (2019) features a 6.4-inch Full HD+ 19:5:9 2.5D curved glass LCD display with 2340 x 1080 pixels resolution and is powered by an Octa-Core Snapdragon 710 10nm Mobile Platform (Dual 2.2GHz Kryo 360 + Hexa 1.7GHz Kryo 360 CPUs) with Adreno 616 GPU. It comes with only 6GB of RAM option with 128 GB of inbuilt storage capacity that is further expandable up to 512GB with the help of a micro SD card. The 8GB RAM variant might be introduced later. It runs on the Android 8.1 (Oreo) OS out of the box and comes with Dual SIM support as well. It features a Triple-rear camera system with a 24-megapixel camera with LED flash, f/1.7 aperture, a 10-megapixel telephoto lens with an f/2.4 aperture along with a 5-megapixel f/2.2 depth camera. It also has a 24-megapixel front camera with f/2.0 aperture. It is backed up by a decent 3400mAh battery with adaptive fast charging support and comes with Dual 4G VoLTE, Wi-Fi 802.11ac (2.4/5GHz), VHT80, Bluetooth v5, GPS + GLONASS, USB Type-C, NFC connectivity options. It has a fingerprint sensor on the rear side. It measures 158.4×74.9×7.4mm and weight 173 grams. The device is expected to be available soon in other markets as well in the coming days.